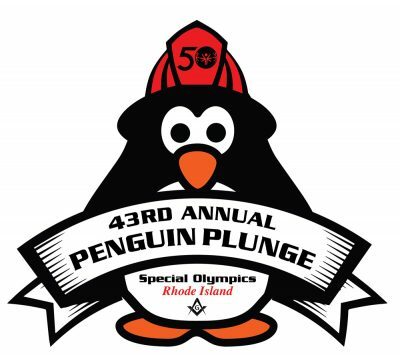 The Penguin Plunge for Special Olympics is one of the original New Year’s Day Plunges in Rhode Island and has been a tradition for many of our plungers that is shared from generation to generation. The Plunge was started in 1977 as the “Jamestown Penguin Plunge”. As the event grew, we made the tough decision to move out of Jamestown and we found a new home at Roger Wheeler State Beach in 2012. It’s the largest and oldest grassroots fundraiser, where all participants raise fund to run (Plunge) into the chilly waters at Roger Wheeler State Beach. Over the past 42 years, this event has raised over $3.5 million. Participation in this event provides funding to support over 3,900 athletes who participate in Special Olympics Rhode Island’s year-round training and competition in 21 sports. 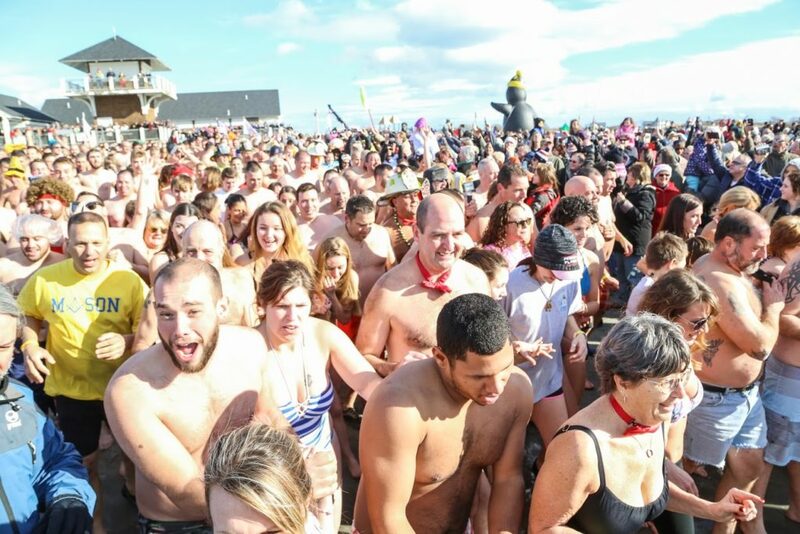 The 2019 Penguin Plunge will take place on Tuesday, January 1st at Roger Wheeler State Beach. See you at the Beach! Click here to register online and create your personal fundraising page. Click here for the Penguin Plunge Pledge Sheet. Click here for a list of 2019 Penguin Plunge Incentives. For more information regarding the Annual Penguin Plunge, please contact Tracy Garabedian.